Considered as one of the best neighborhoods in Rio de Janeiro, Botafogo was an old and traditional district which now gathers all the attractive aspects of the city. This residential neighborhood has everything to attract foreign tourists thanks to charming streets, upscale restaurants, an impressive shopping center and an amazing nightlife. Everything on a bayside location with a breathtaking view up to Sugarloaf Mountain. The newly expansion of Botafogo could make it become a destination in its own right. Between its luxury neighbourhoods and its forgotten favelas, Rio is the city of a great discrepancy. Between 2008 and 2013, some developers tried to mitigate this gap but instead, they created a true real-estate bubble. Since then, the housing market may have entered in a stable low period despite the 2016 Olympic Games effect. This growing city is constantly in expansion: with 50,000 inhabitants in the 1980s, it now hosts more than 400,000 cariocas. However, the country is facing a political uncertainty and an economic crisis, which led to a 20% decrease of the housing prices. All these elements seduced foreign investors as the Brazilian currency is weak. Besides, there is a large number of available properties on the market and the possibility to buy them at attractive prices made Brazil a kind of Eldorado with real housing opportunities. Foreign investors have the same rights as local citizens to acquire real estate property, except for special cases (rural lands, mining land, property near the coast or frontier...) and Foreigner with residence in Brazil cannot acquire more than an area equivalent to 50 units of rural property called “módulos rurais”. 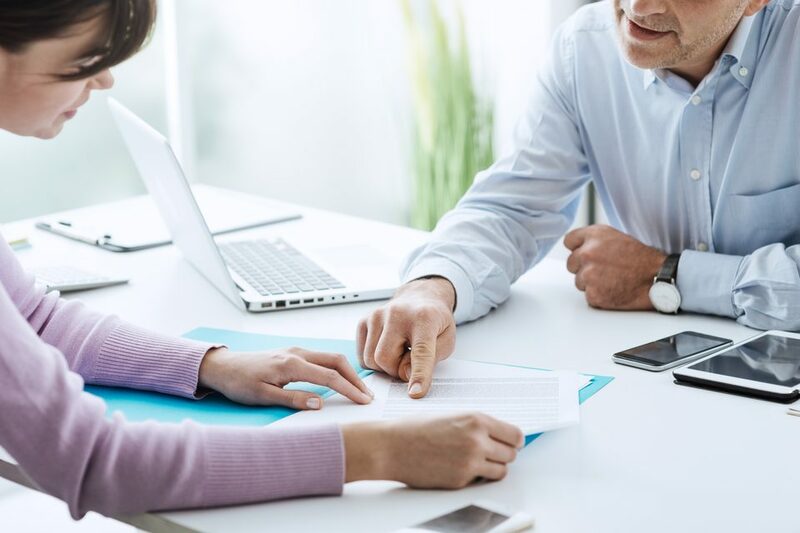 Foreign entity can only acquire rural property for agricultural purpose, industrialization, and other specific projects, duly approved by the Brazilian Agricultural Ministry or the Department of Trade and Industry. From May to October, the Southern winter is present in Rio. Therefore, the weather will have tempered heat and temperatures could decrease to 15 degrees, which could be considered as fresh. However, it is possible to swim all year long. During this period you will benefit from attractive prices and less crowded places. 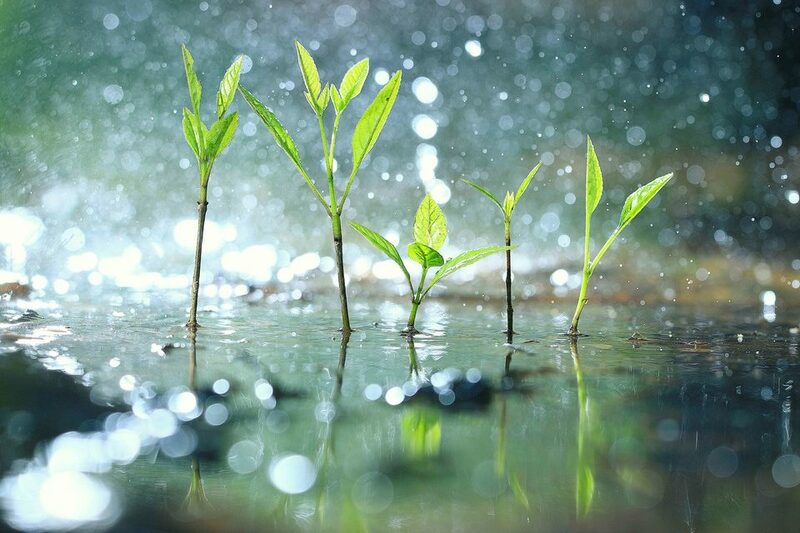 The period between November and April is the best one to enjoy favorable weather conditions even though the month of December is generally the most rainy one. From December to March, the austral summer is present in Rio de Janeiro. During this period, the weather is dominated by heat and the hottest temperatures but these months are the perfect ones for parties. 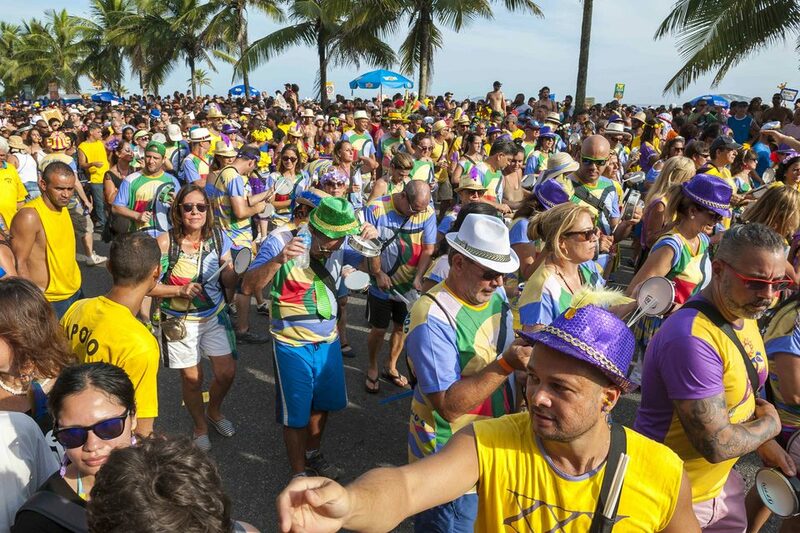 This period is selected by most of visitors to come to Rio de Janeiro, therefore places are crowded and prices are more expensive. On the São Clemente Street, the carioca house of Ruy Barbosa is located in the district of Botafogo and is one of the last ancient houses in the neighbourhood. 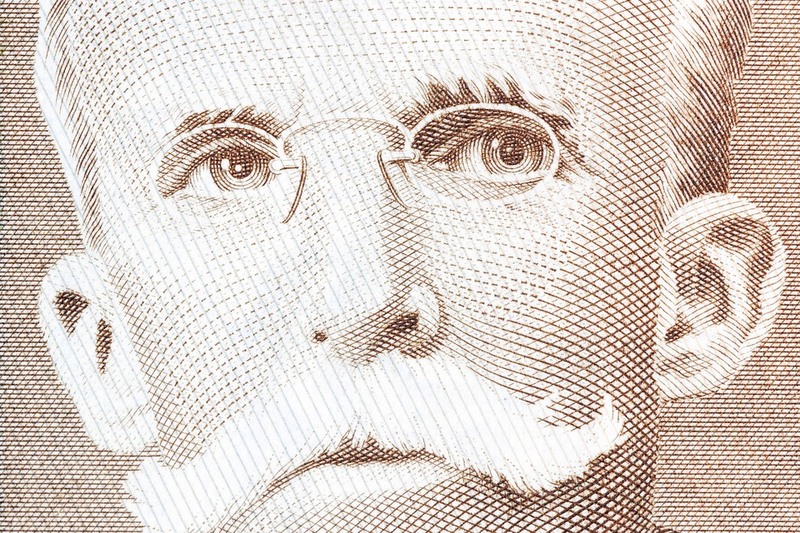 Ruy Barbosa de Oliveira (1849-1923) was one of the major intellectual figures in Brazil. He was a legal expert, a writer, a parliamentarian as well as a minister and an ambassador who dominated the world of ideas in Brazil. 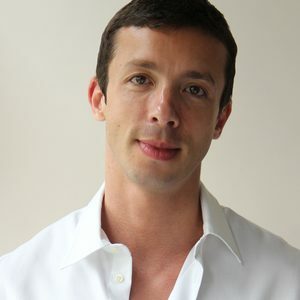 Ruy Barbosa was the coauthor of the first Republic of Brazil Constitution. He was such a major figure that one year after his death, the Brazilian government decided to appropriate his property with everything inside, furnitures and archives included to turn it into a museum. It has been open to the public since 1930 and nothing has changed inside since the Ruy Barbosa era. 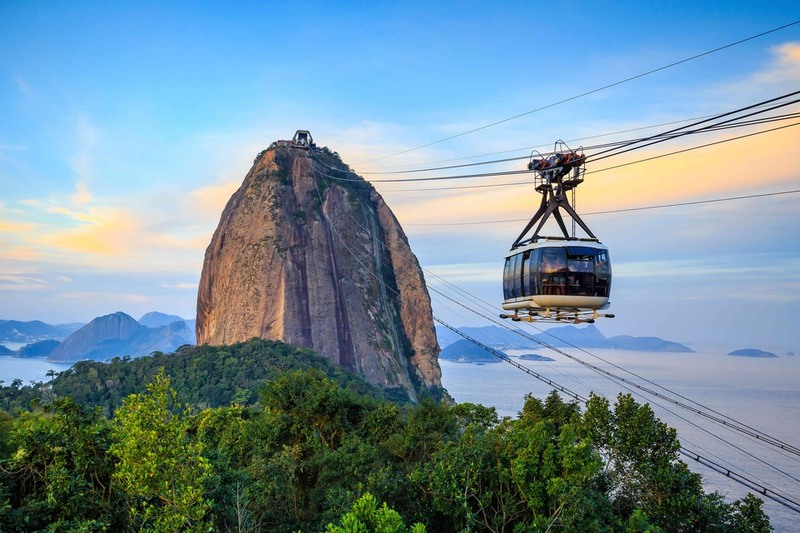 This rock peak reaches almost 400 metres of altitude and is one of the symbols of Rio thanks of its particular form. Its name comes from the Indian "Pau-nd-Acuqua", which meant "high, pointed, isolated peak" and looked like "pão de açúcar" for Portuguese people and the name remained. At any time, the overview from this mountain is breathtaking. It is possible to admire on the West side, beauty landscapes, with the Leme, Copacabana, Ipanema and Leblon beaches, which are run alongside by mountains. At the bottom, you can spot the Botafogo and Flamengo districts, as well as the Corcovado with Christ the Redeemer. This favela was chosen by Mickael Jackson to be the scenery of his "They don't care about us" music video. 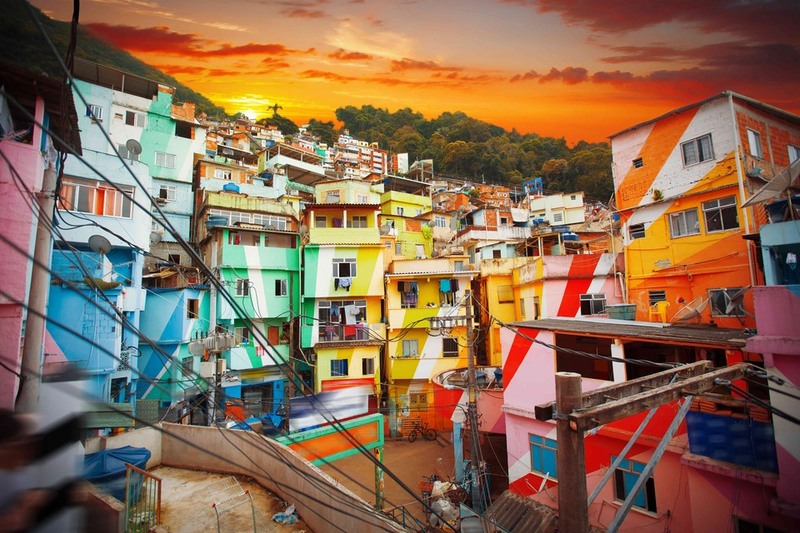 This Brazilian shantytown is one of the most beautiful favela in Rio de Janeiro, thanks to its coloured small houses and its peaceful atmosphere (the first one that has been pacified in Rio, in 2008). It also became famous thanks to its popular hairdresser Carlos Araujo, who was awarded by L'Oreal during a hairdressing contest. The city of Rio de Janeiro, formerly named "São Sebastião do Rio de Janeiro", was founded in 1565 by Portuguese explorers and was a cornerstone place for naval trade between Brazil, Europe and Africa. It became the capital of Brazil in 1763 after an impressive growth thanks to gold and diamond discovery but let Brazilia have this title in 1960. Nowadays it is a huge megalopolis which receives more than six million of inhabitants, called the "Cariocas". Therefore, it is the second largest city in Brazil. 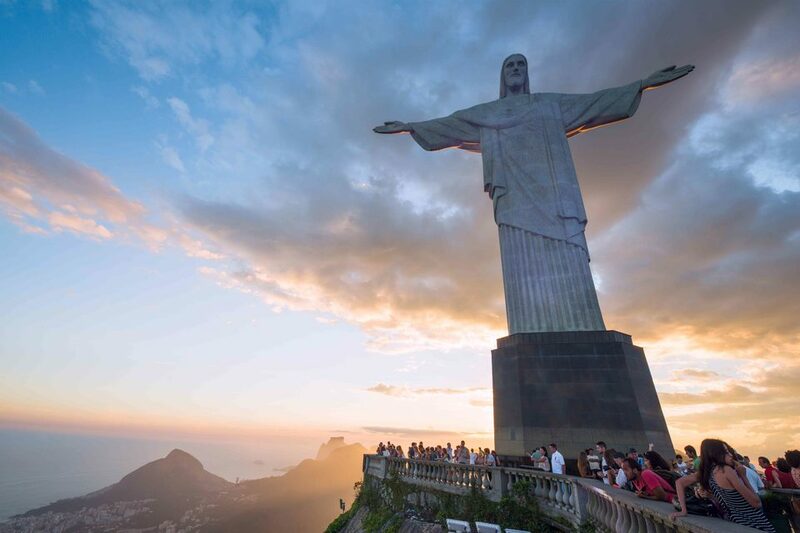 Situated nearby the Atlantic Ocean, the city of Rio de Janeiro is overhung by a rocky peak, called Corcovado, which hosts the Redeemer Statue.